for $654,317 with 4 bedrooms and 3 full baths, 1 three quarter bath. 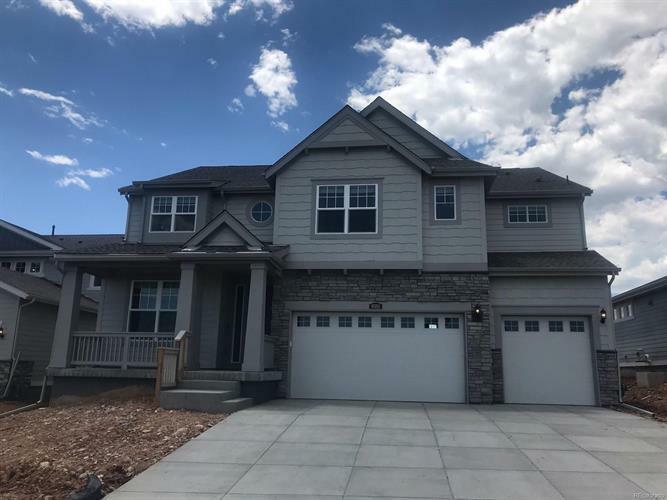 This 4,332 square foot home was built in 2019 on a lot size of 0.21 Acre(s). Popular floor plan in highly desirable community. Located on a 9, 476 sq. ft. homesite! This home features an expansive covered deck, pecan stained cabinets, gas cook top with double oven and refrigerator and granite countertops throughout. Great room features 20 ft. high vaulted ceiling, wrought iron balusters, gas fireplace with a herringbone tile surround and mantle. Upstairs features a split floor plan with spacious loft in the middle. This home has it all! Great views from the master bedroom! Spacious 50 ft. plus deep backyard! Great Location! Come tour today! Energy Star 3.0 certified and HERS rating TBD. Available to see by appointment - estimated completion July 2019.